OK, this has been covered before by other much more expensive web designers, but I wanted to really focus on why web design costs what it does. I charge what I think is fair for my customer service, programing skill level, design capabilities and overall business experience but yet still often get told our pricing is too high. Our pricing is not too high considering what we offer – and we are not the right web design agency for everyone, but if you value your business – your website and hosting are 2 things you should not skimp on! Not all web designers have owned and sold websites (blogs and e-commerce ) – to me that is added value to potential clients – because we have. Not many will offer any help above and beyond what is written in the contract without charging for it – we often do. Very few will answer emails within hours of receipt – we do. Web development costs are not just about “putting up a website” — it is so much more than that! So let’s cover some of those things. 1) Consultation Time – Our clients will vouch for us when we say we spend MANY hours on the phone consulting on everything from design layout to marketing to SEO. Not all web designers will do this – but the good ones will, because they care. 2) Education – We are useless to you if we do not keep up on the latest trends in web design and online resources. Think Facebook Integration – Social Marketing, SEO etc. These things change DAILY. A good web designer will spend many hours a week reading and absorbing the latest trends in design and technology. When we keep up with these new trends we can better create a site with features that are relevant to your industry. 3) Research – With every client we will research their industry – evaluate the top competition and find the best of the best in terms of industry related websites. This will give us a competitive edge in creating a standout design. 4) Design – Have you tried to design a website lately? It is not easy! On average to create 2-3 design mockups we average 10-15 hours of work – this does not include the edits after the client chooses their favorite design! 5) Programming – OK, to us this is the easiest part for a typical site, but can still take about 50+ hours for a basic website. This includes the complete design integration, custom programming for features/functionality and everything in-between! 6) Testing – A GOOD web developer will do full browser testing as well as make sure CSS and HTML are valid. Accessibility as well as speed testing are other components we also test for. Testing alone can take several hours depending on the size and functionality of a website. I have closely tracked my last 4 full web design projects from the writing up of the contract to receipt of final payment and sign off on project. You know what I realized? On average I invest 110 hours in EVERY web design project I do. Yes, that is almost 3 FULL weeks. Think about how much you would want to make for 3 full weeks worth of work. With that said – please remember web design is NOT easy. And if you require a web designer who really cares and will be glad to help you, it may cost a little more. Yes, there are developers that can do websites for hundreds of dollars. But if you truly care about your online success – those developers are probably not the best option for you. But I Can Do It Myself With Something Like Wix or Weebly! If your thinking is you can save a lot of money by building your own website on a platform like Wix or Weebly – then go for it. But there are a lot of reasons why this is a horrible idea. Just putting up a website is NOT going to make amazing things happen. There are best practices for design, layout, font usage and call to actions. Their are funnels to get users to do what you want them to whether fill out a form or place a call. No website builder will address these for you. SEO is a big issue with both of these platforms. Rarely will you see a site built on sometime of hosted platform like these rank well for anything. You can have no access to any code to do any customizations, add structured data or any other implementation you may want to have in the future. You may not be able to download and move your content if in fact you decide to do a real website in the future on a CMS like WordPress. In some cases you may not “own the website” at all and will not have the right to move it. You better make sure you read the fine print. 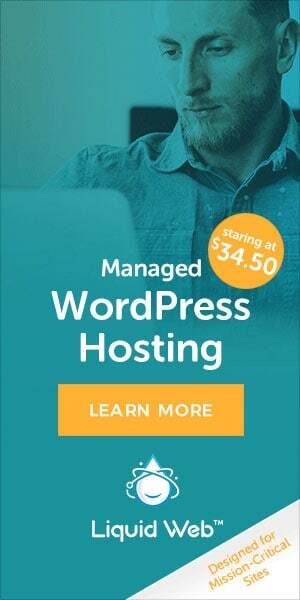 Some of these platforms – like Wix have annoying ads – unless you pay a premium for a monthly service. So you will be paying every month…for as long as you have your website to have some other functionality and to remove ads. So, why not just invest in your own website? Website speed can be slow at times due to the thousands of other websites you are hosted with. You have no control over this. No way to really dig into analytical data to understand how people are using your website and other important metrics that help you grow. We would love to hear your thoughts on web development costs! Have a story to share about a cheap website gone bad (or good)? Thank you SO much for sharing Ivory it is so nice to hear from another designer! I do have some great clients who truly “get it” and realize how much work goes into it all and I appreciate each and everyone! But I am hoping by sharing and outlining all the steps it really clears it up……and you are not the first one to tell me I am too cheap!!! 🙂 Working on that!